Bent Pixels is a digital media company known for developing technology-based management solutions for brands and talent networks. We think of Bent Pixels as a family, and we’re so proud of how the talent in our family has grown. Las Vegas-based media company is the largest independent U.S.-based creator network to reach the milestone. 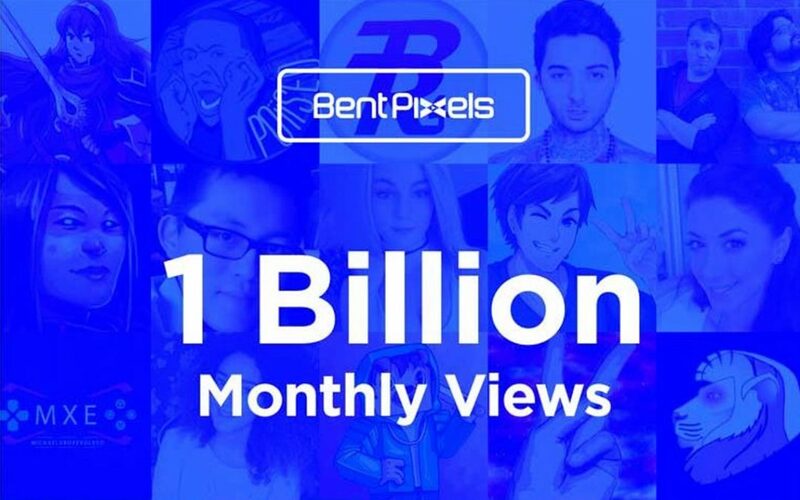 LAS VEGAS – December 4, 2017 – Bent Pixels today announced that its multi-platform creator community has reached 1 billion video views monthly across all YouTube content. Considered a significant milestone in the social video industry, the views were earned by the Bent Pixels roster of nearly 18,000 diverse creators worldwide. Bent Pixels is known for its footprint in the entertainment, gaming, and lifestyle verticals. The network’s stars include urban dance stars The Kinjaz, comedians Joe Rogan, Bill Burr, and Chris D’Elia, podcasters The Fighter and The Kid and Jocko Willink, and leading gamers and esports streamers Amaz, Hafu, and Cryaotic. Bent Pixels demonstrated significant growth in 2017 by recruiting more lifestyle, entertainment, and esports streaming influencers. In addition to the talent and content engagement growth milestones, Bent Pixels also launched its Los Angeles-based Brand Solutions division for branded content and influencer marketing projects. Bent Pixels is a digital media company known for developing technology-based management solutions for brands and talent networks. The core of Bent Pixels is its creator community, the largest independently-owned influencer network in the United States. The Bent Pixels offering includes social campaign strategy, digital rights management, cross-platform media sales, network administration, and talent management. Bent Pixels manages a diverse roster of talented creators with a global footprint, including top esports athletes, gamers, entertainment and lifestyle talent. Enterprise clients include content studios and distributors such as Frederator and Funimation. Founded in 2009 and headquartered in Las Vegas, Bent Pixels has offices in Los Angeles, Boston, Sao Paulo (Brazil), and Aachen (Germany).